Nagari constituency in Chittoor is witnessing an interesting political drama these days. Both the ruling party and the Opposition are facing strange situations. Both the parties are battling internal problems and intense game of one - upmanship. 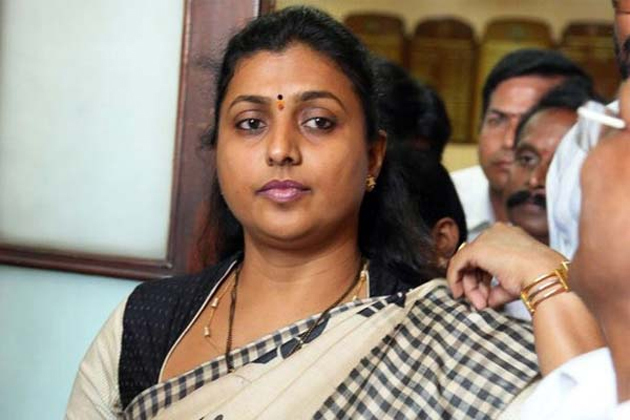 The constituency is currently represented by firebrand MLA and actress RK Roja. Till recently, she was the unquestioned queen of the constituency and her agitations, protests and meetings saw huge crowd. But of late she is facing problems from inside. Nagari's YSRCP strongman Reddyvari Chengareddy's brother's son Chakrapani has become her strong rival. He is now trying to get the ticket from Nagari and has already met party secretary general Vijay Sai Reddy. Chakrapani is a known camp follower of Peddireddy Ramachandra Reddy in Chittoor. In fact, during the 2014 assembly elections, Chakrapani was the biggest backer for Roja and his support is crucial for her to win the elections in 2019.But, he himself has turned against her now. The ruling TDP too is a divided house. Interestingly, it is a battle between two siblings. They are sons of former minister Gali Muddu Krishnama Naidu. Gali's eldest son Bhanupratap and younger son Jagadeesh are battling it out. Both are vying for the MLA ticket. Both are holding massive rallies and house-to-house programmes and are asserting that they wold get the party ticket. Instead of fighting the enemies, both the parties are fighting one another. Let's see how things pan out and see when both the parties realize that it is time to put a stop to the bickering.